90° elbow. 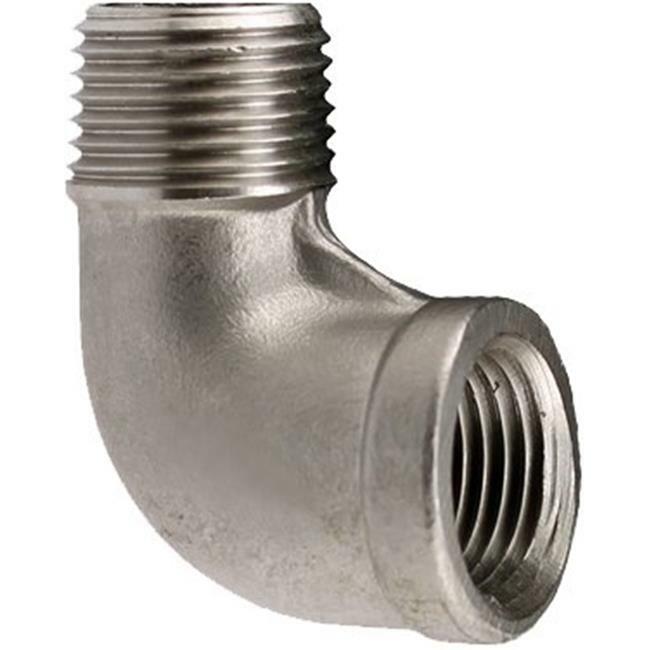 304 stainless steel fittings are ideal for potable water, underground and irrigation systems, agricultural applications such as barns or anywhere high corrosion resistance is an asset. Installing stainless steel fittings requires the use of quality pipe joint compound or PTFE tape formulated specifically for stainless applications. Failure to do so results in ruining the fitting due to thread galling, and the inability to create a water tight joint. For a leak free solution use Plumb-eeze pipe joint compound.